In the top 1% of realtors based on sales volume, Bruce Glazer is a name clients trust to deliver results. Founder of the Bruce Glazer Group, Bruce knows that every client's needs are different. To that end, Bruce and his boutique firm offer a complete, concierge service that caters to the individual needs of buyers and sellers throughout the city. Bruce's extensive knowledge of Chicago's housing market offers his clients a range of expertise”from neighborhood recommendations to insight into market trends”while protecting his clients™ best interests throughout every step of the home buying or selling process. Bruce has been a Top Producer with the Chicago Association of REALTORS© (CAR) for five consecutive years in a row. Backed by a dedicated team of professionals, the Bruce Glazer Group has combined as a team to sell over $70 million. While other real estate brokers focus on a high volume of sales, the Bruce Glazer Group prioritizes their individual clients. With a 100.4 percent listing to sales price, and an average of 30 days market time, sellers can feel secure knowing their home is in good hands. Such results are possible by focusing intently on each individual client, leveraging a standalone service to make sure their needs are met and, eventually, exceeded. Together with buyer and seller specialists, Bruce and his team are uniquely positioned to assist clients throughout Chicago. No matter what kind of client, Bruce guarantees that your needs are listened to and met. For sellers, that means relying on a team that preps and prices properties correctly before listing. For buyers, that means going above and beyond to locate the home of your dreams near the things that matters the most to you, the client. "Bruce was great to work with. 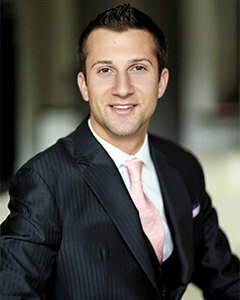 He is very knowledgable on the Chicagoland real estate market."